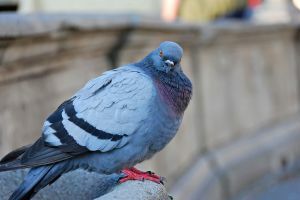 I f you aren't involved in marketing or the search world, you probably haven't heard much about the "Pigeon Update" which was an update to Google's search algorithm, primarily affecting local search. The update took place roughly 1 week ago (24th of July), so by now you may have noticed a difference if you pay attention to your web metrics. As mentioned, it affects local search to create a better user experience for those searching for something local. Because of the relationship to local, the update got its nickname, "Pigeon", because pigeons tend to return home...which in Bradford, PA is right outside of McDonald's. With the enhancement, Google expects the local search results to be improved because they have implemented more of their search capabilities and ranking signals. Some of the enhancements include the Knowledge Graph, spelling corrections, synonyms, and more. Additionally related to local, Google has claimed that they've improved the distance and location factors, allowing them to better understand where the searcher is and where the result the show is located in relationship to the searcher. Directory listings such as Yelp, TripAdvisor, and many others are also part of this update, so be sure to take advantage of these free resources. Pay attention to the metrics. If you have been affected in either a positive or negative way, some action should be taken. Don't just wait around to see what happens...take a proactive approach and review the analytics yourself and see check on visibility changes that may have occurred. If you aren't already, make sure you business is listed on the most relevant directories. The higher and more commonly ranked ones tend to appear first, so start asking for reviews. If you have negative reviews, address them and fix the issues. If you are a business that is heavily reliant upon local, revisit your website's usability and ability to convince people to actually visit your location. If Google is making it easier for people to find you, don't let them down when they actually arrive on your site or directory listing. Also, make sure that all information is accurate! Don't let small things slip through the cracks. Don't panic. There is always a short time frame after a major algorithm update is released that the rankings are inconsistent. Keep an eye on things over time and make adjustments as necessary.